My IRLP node 6063 is linked to this repeater. Please, no matter what node you're using, take the time to read the how-to's and etiquette for IRLP. It is a different way to use the radio, and special action on your part is required to make things go smoothly. Also read the individual web pages for the nodes and reflectors, so that you know what rules the owner has imposed, especially for reflector sub-channels. Some reflectors have specific languages assigned to specific channels. Web pages for the reflectors, as well as regular nodes, are available by clicking on the node/reflector number on the Connected Status page. Nodes listed are only those that are currently connected to someone. A list of ALL nodes (but without the reflectors listed) is available by clicking on All IRLP Nodes at the top of the below link pages. What is IRLP and how does it work? Why does IRLP require rules that are different from what you are used to? 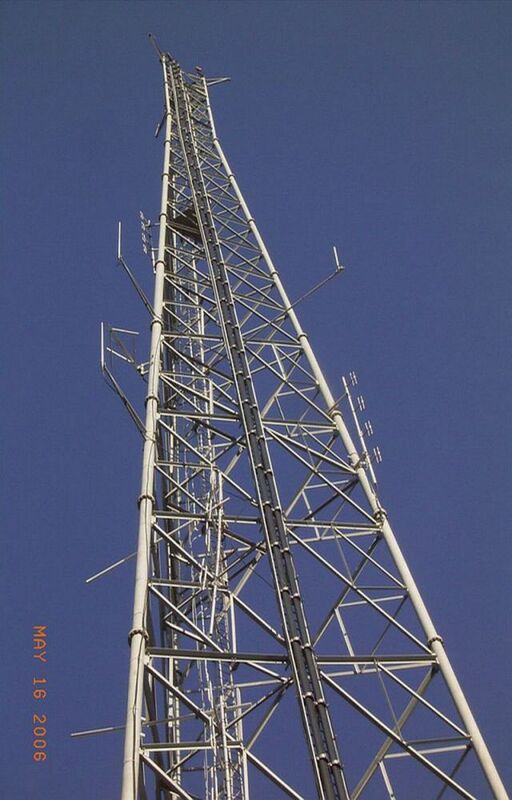 This is the tower with VK3RBO the 70 cm, Bendigo City repeater on it. It is located to the West of the Calder Hwy in Golden Square. It also carries the VK3RBO Amateur Television Repeater with a 1250 Mhz input and digital output on 70 cm.